When I change the colour of the class my cabinet doesn't adjust to this colour. I have created multiple cabinets from one base wich works fine. But the cabinet I have attached doesn't change as you can see for yourself. I have changed three classes which the cabinet uses, but they all remain white. Does anyone have any idea, what might be the cause? I get the idea this one is made more complicated then needed. For your class settings, do you have "Use at Creation" set? Looking deeper - it looks like you aren't setting your objects to use the class fill color. I've updated your network to do so using the "Set Fill Color by Class" node. 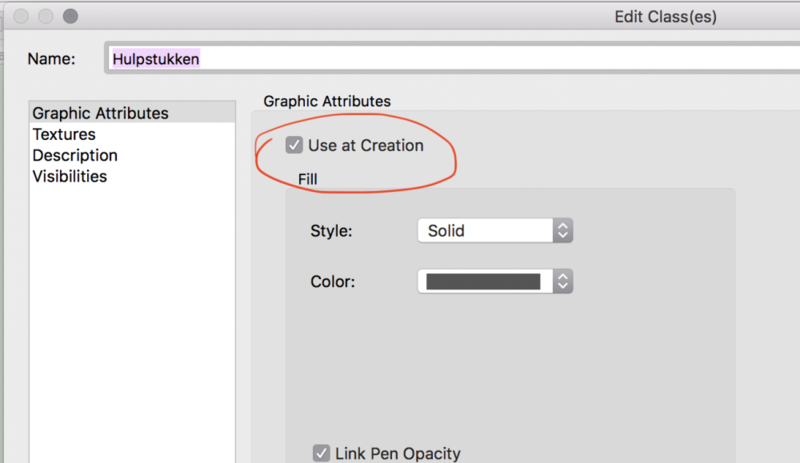 Where can I find the settings for 'use at creation'? I find it a bit odd, because in the original cabinet everything works without the extra node. You appear to already have 'Use at Creation' set. That setting is in the "Edit Class" dialog. 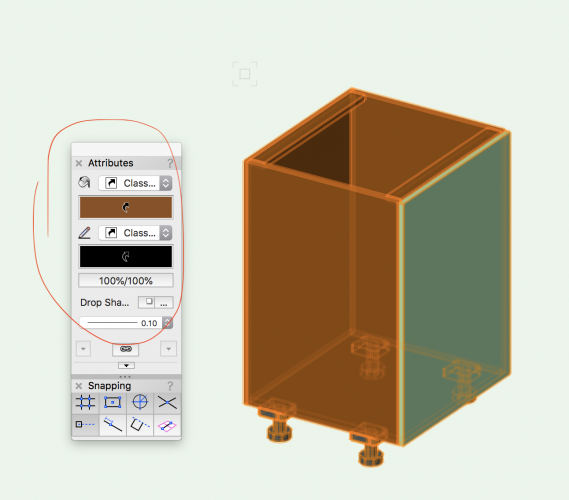 It looks like you have that object set to use the class settings in the attributes palette which is why it works correctly. If you open the file where it hadn't been working, select the cabinet, and set everything to use class values in the attributes palette, it should also work. It's the manual way of doing what the "Set Fill Color by Class" node would do. Please let me know if I was unclear.